Following a record-breaking sweep in which he set an all-time high for nominations, 2012 saw an inevitable leveling-off for Adam Sandler at the Razzies, a reminder that show business is fickle and that Adam Sandler starred in way fewer movies this year. With the Golden Raspberry Awards apparently too ambivalent about Hotel Transylvania to add it to their annual list of cinema's worst/most obvious abominations, that left only That's My Boy to further Sandler's streak of producing multiple nods for being awful—a streak that continues to be the most consistent thing Sandler has ever done, aided by the fact that, like the movies that landed him there, it doesn't require him to try. Other films and people whom the Razzies deemed safe to pick on: former reigning Razzie scapegoat Eddie Murphy; Twilight and all permutations of its ensemble, one last time; Jersey Shore, which slipped in thanks to the cast's cameo in The Three Stooges; perennial Razzie bridesmaid Nicolas Cage, who's now like the Razzie equivalent of Kate Winslet; Tyler Perry, whether partnered with Tyler Perry's drag get-up" (as a nominee for Worst Screen Couple) in Tyler Perry's Madea's Witless Protection, or flying solo in Tyler Perry's Good Deeds and Alex Cross; and Oogieloves In The Big Balloon Adventure, confirming that the Razzies do not appreciate marketing vision when they see it. Anyway, it's a toss-up as to whether being recognized in almost every category will lead to a Worst Picture victory for That's My Boy, as it did for last year's winner Jack And Jill. 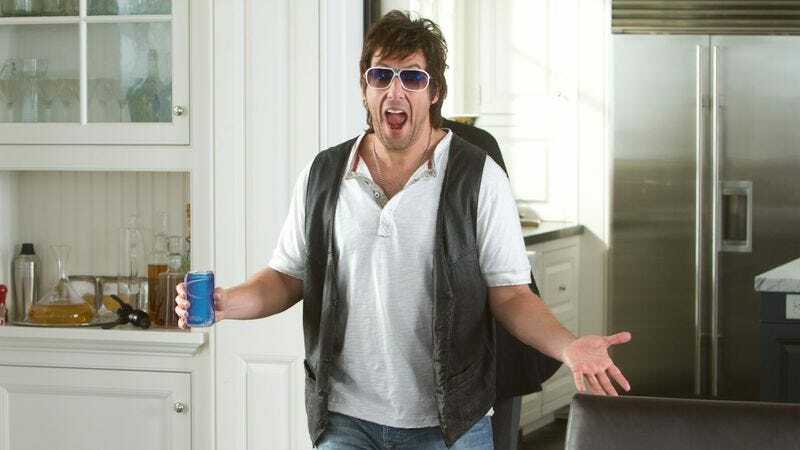 It is, however, safe to say it will continue to have absolutely no bearing on Adam Sandler's career choices.